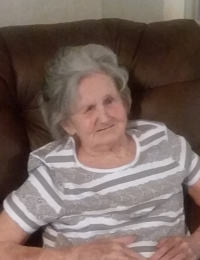 On Friday evening, November 30th, 2018, Barbara Jean Lynn, devoted mother, grandmother, sister, aunt and friend was called home to be with the Lord. Barbara Jean was born on July 11, 1930 in Chattanooga, TN. She had various employments throughout her lifetime in the Chattanooga Area. Barbara Jean loved her “tv programs” however most of all her greatest love was her family and special friends. Barbara Jean was preceded in death by her loving husband, Carl T. Lynn, Sr.; parents; Ralph and Callie Mae Crane; daughter, Vivian Cantrell; brother, Charles Mullins; sister, Joyce Hicks and grandson, Scott Cantrell. Those left to cherish her fond memories are her sons; Tommy (Terri) Lynn; Larry (Jennie) Lynn; Carl Lynn, T.J. (Judy) Julaine; daughters; Linda Lynn; Brenda Lynn, and Brenda Kay (Randy) Felder along with eight grandchildren and twelve great-grandchildren. The family will receive visitors on Monday, December 3rd, 2018 at Tate Funeral Home in Jasper, TN from 4:00 pm CST to 8:00 pm CST (5:00 pm EST to 9:00 pm EST). The funeral service will be held on Tuesday, December 4th, 2018 in the Chapel at Tate Funeral Home at 10:00 am CST (11:00 am EST) with burial to follow at the Chattanooga National Cemetery in Chattanooga, TN at 1:00 pm EST (12:00 pm CST). 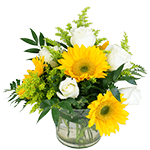 Arrangements by Tate Funeral Home, LLC, 950 Mel Dixon Lane, Jasper, TN 37347.